Smartphone users fall into two categories – those who don’t use cases and those who do. 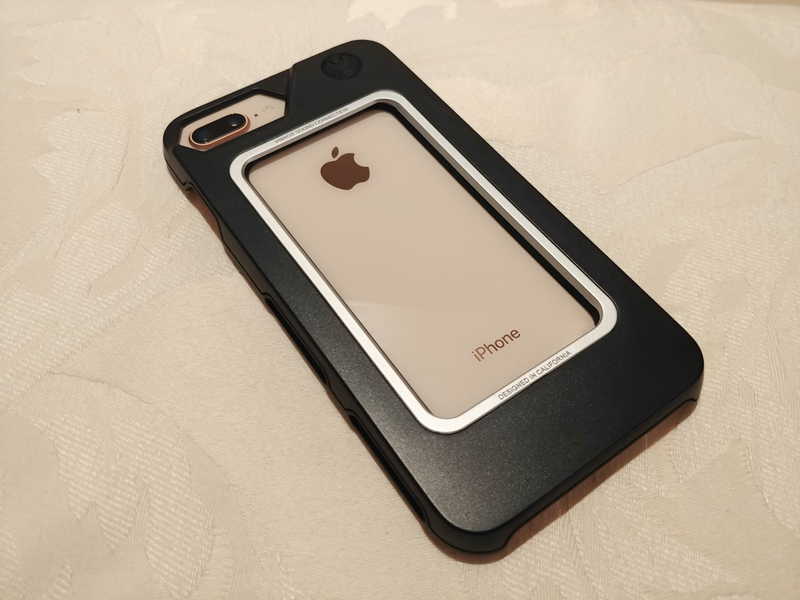 If you happen to own a really popular phone like an iPhone or a Galaxy phone, you have many options available to you when it comes to cases. Most people stick to one case through the entire life of a smartphone or they’ll own several and swap them out when they get bored. However, how many of you own a modular case that can not only protect your smartphone but also transform to perform different functions? I bet not many. 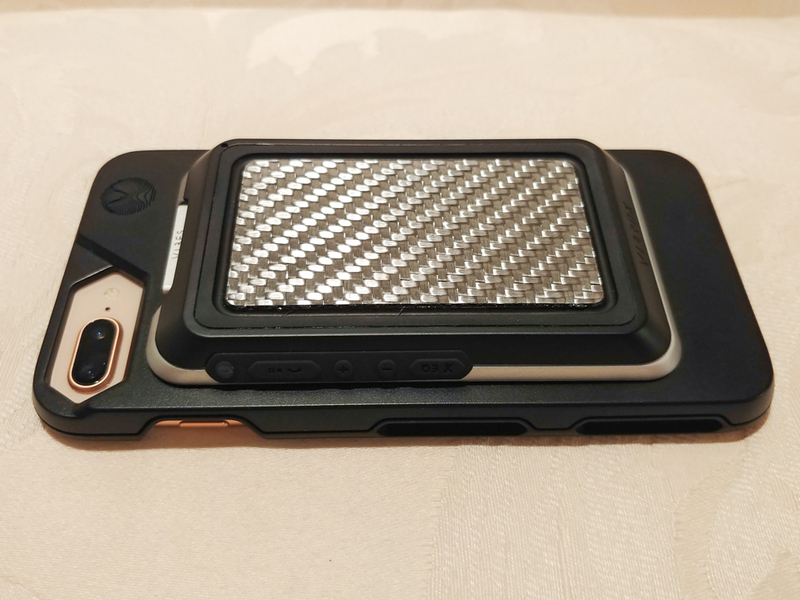 What if I told you where was a case from Vibes Audio where your phone could go from ordinary to extraordinary and back in a mater of seconds? The Vibes Audio modular system is available for the iPhone 6/6 Plus and up and the Galaxy S7, S8, and S8 Plus. 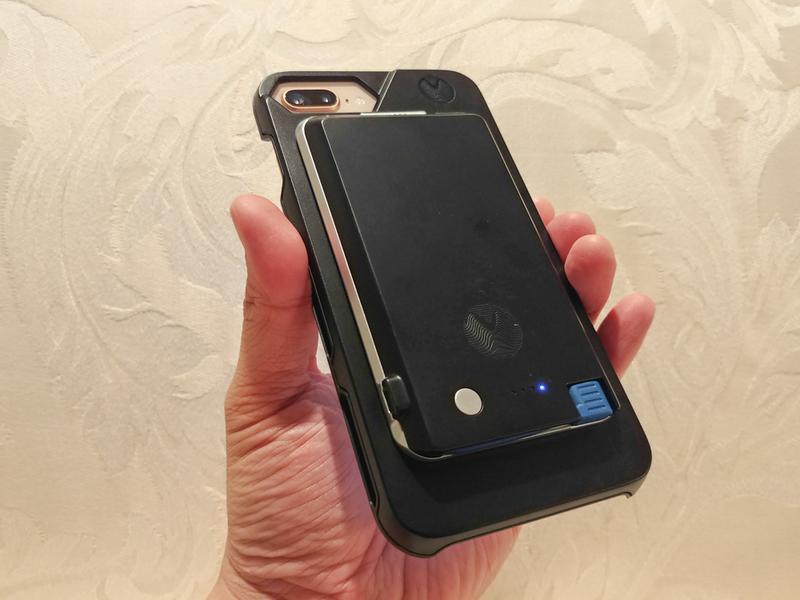 It consists of the BASEROX phone case, the optional VOLTROX Power Bank, and the VIBROX Sound Engine. 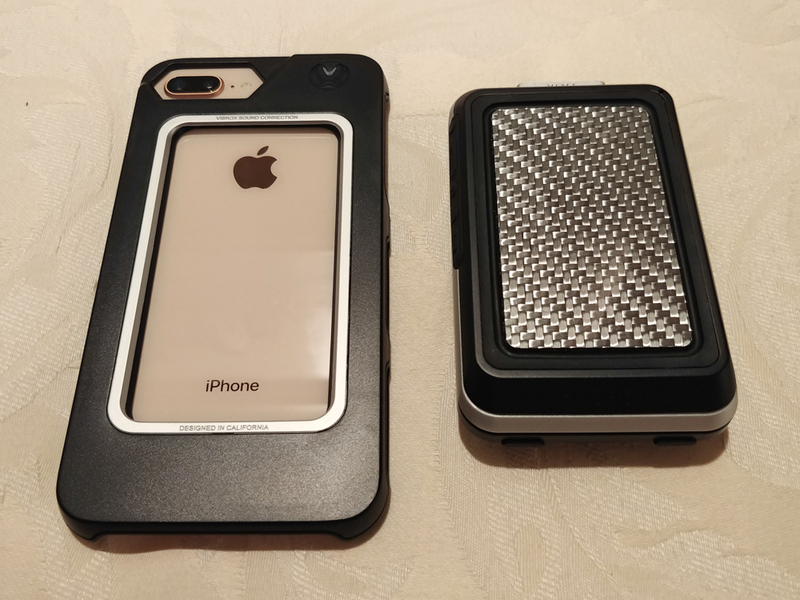 The main thing here is that let’s say you have an iPhone 6 and then later upgrade to an iPhone 8 Plus, you can still use the optional bits, you just need to get a new BASEROX case. That’s the magic of the Vibes Audio system. First up is the BASEROX case. For this review, I’m testing it out on an iPhone 8 Plus. The case is a 2-piece case consisting of a hard plastic shell and a shock absorbent rubber inner liner. The iPhone snaps right in and that’s all it takes for installation. It fits snugly and won’t fall off when it’s on. You’ll notice that there’s a giant rectangular cutout on the case and that’s where the modular units snap in. Without them, there’s a giant hole, but it should still do a decent job or protecting your device. The next item is the VOLTROX power system which adds an optional backup battery to your setup. It snaps into place on the BASEROX case and does add quite a bit of bulk. 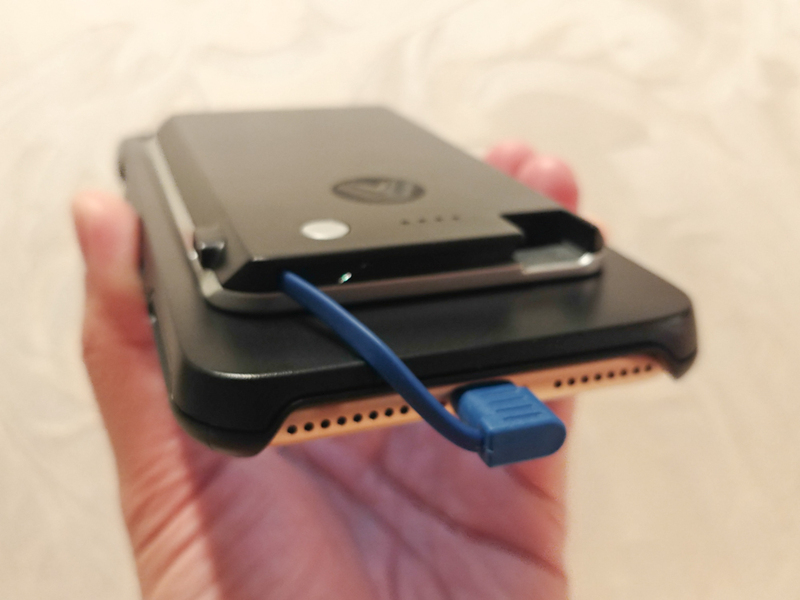 However, this is a very convenient way to keep an extra battery pack together with your smartphone when you need it and when you don’t, you can just detach it and store it away somewhere. Another convenient thing is that it includes the charging cable attached. You just pull it out and plug it into your smartphone when you need a charge. The only thing with this though is that depending on which type of phone you need it for, it’ll either come with a Lightning Cable or microUSb so keep that in mind. The last part of the Vibes Audio system that I got to check out was the actual speaker itself, the VIBROX. This is a beautifully designed speaker that has a speaker made of what looks like some type of woven fiber. 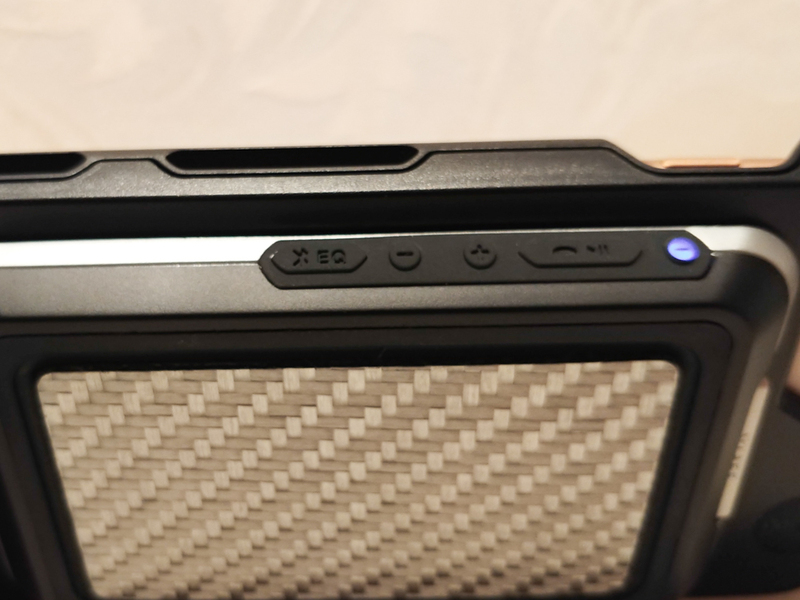 It’s compact, has it’s own controls, and it too can snap onto the BASEROX case. 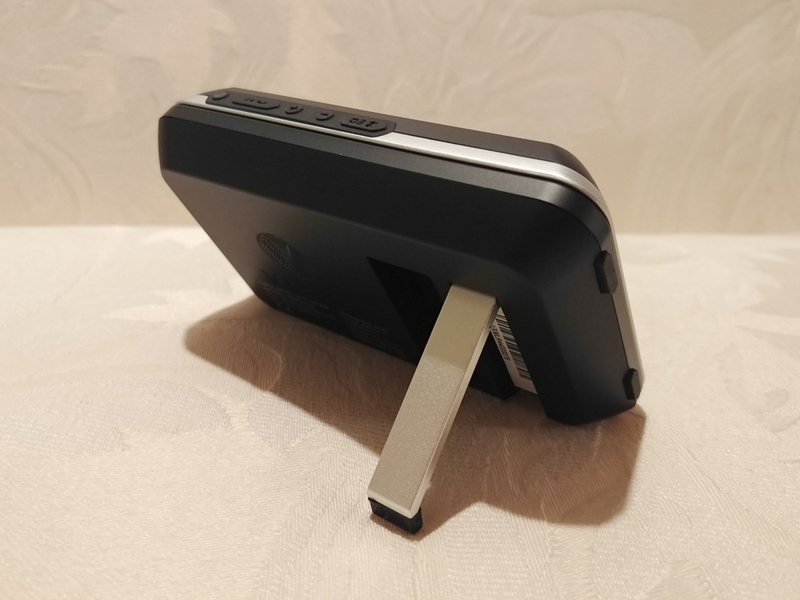 It also comes with its own charging base that allows you to use the speaker independently of the BASEROX case. It is a very well made speaker that can stand on its own either either horizontally or vertically and as for the sound, it can get very loud. Much louder than your phone’s built in speakers. Should you use something like the Vibes Audio modular system? Why not? 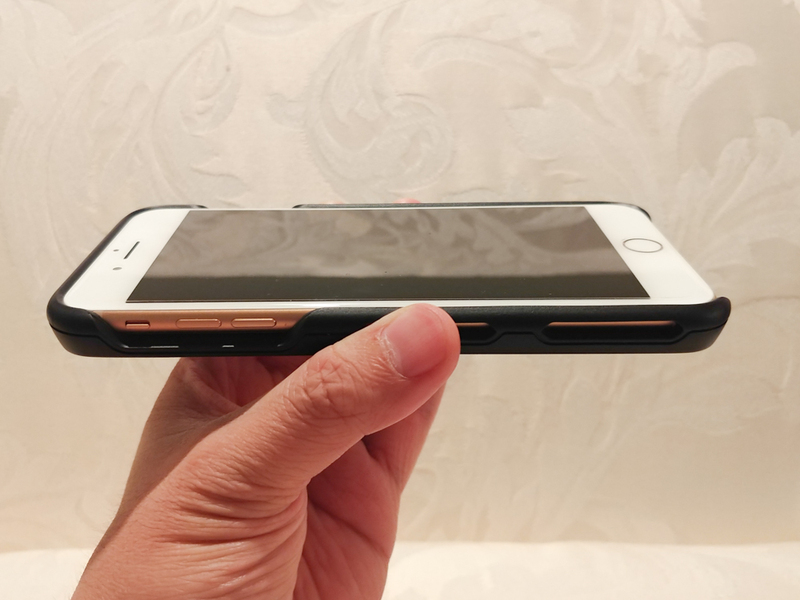 It’s a very interesting concept where you can keep the accessories and just change the case itself every time you upgrade devices, as long as you stay with either an iPhone or one of the supported Android devices. For the most part, the BASEROX case is pretty good and the VIBROX and VOLTROX work as advertised. It’s neat how you can switch them out when needed. The only real downside is the slight bump in bulk, but it’s still manageable. 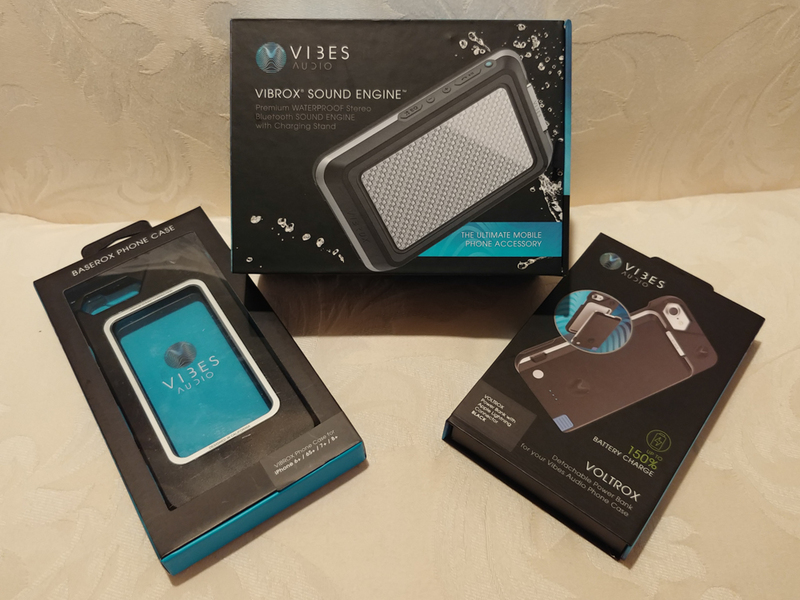 Overall, I think Vibes Audio is on to something and as long as they can keep making cases for the latest iPhones or popular Android smartphones, this could be something you want to look in to. Will they also make other accessories? Who knows, but the platform is there and hopefully there will be more from Vibes Audio in the future.